Who you are. This will include your full name, current address, social security number, date of birth, and where you are employed at. Inquires that are made about you. If a creditor checks into your credit report, this will be noted, and it will also be noted if you apply for credit, no matter if it is for a car loan or a credit card. There are two types of inquiries, hard and soft. A hard inquiry will stay on a credit report longer than a soft, and soft inquiries are only shown on the copy that is given to the consumer. A hard inquiry is placed on a credit report when new credit is applied for, so it is often best not to fill out a bunch of new applications for credit at once. What credit you have out now. 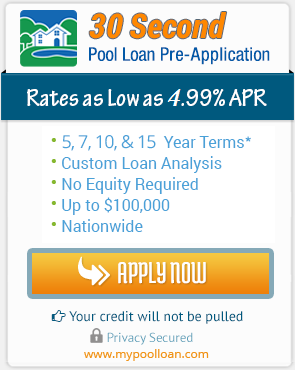 This includes mortgages, auto loans, credit cards, student loans, personal loans. It will state if the account is just in the consumer’s name or if there are others who the account is joined with,as well as the status of the account (opened, closed, inactive, etc). The report will contain the account numbers, and can list the terms of the credit, as well as payment history made on the accounts, and how much the consumer owes the creditor still. Public Records. This includes any tax liens that are against property that the consumer owns, bankruptcies, and any court judgments, such as small business or child support. Arrests and criminal activity will not be listed, just those that pertain to the financial situation of a consumer. Why is a credit report so important? Well, a credit report is what lenders use to see if a person is likely to repay back what they are lending them. Before credit reports existed, it was often a tedious process to get a loan or credit card. But now, lenders can simply look at an individual’s credit report to see if they will be a good candidate to repay back the money that is given to them. There are many that can have access to checking out a credit report. Any lender that a consumer asks to borrow money from has the right to check the individual’s report. Even after a lender has given you a loan, they can still check your report. Any phone company or utilities company that provides the consumer a service can check into credit reports. Employees of the individual may also look at credit reports, but only if the individual has expressed consent. Insurance companies have the right to look at a consumer’s credit report. This is for companies that a consumer either has a policy with already or is thinking of having a policy with. Landlords can check credit reports to make sure that the renter will be good for paying the rent on time. Did you know that government agencies may also take a peek at your credit report if you are entitled to government benefits and they need to review your financial records? Any bank also has the right to look at credit scores if a consumer would like to open a new account at that place of business. As an individual can see, a credit report is very important for so many reasons. So it is imperative to check a credit score at least once every 12 months. Some even recommend to to it more than that. There are three major credit bureaus that lenders often turn to to find a credit score. These are Experian, Equifax, and TransUnion. These credit bureaus receive their information about the consumer from banks, previous lenders, credit card issuers, and finance companies. Under the Fair and Accurate Credit Transactions Act, a consumer has the right to receive a free copy once every 12 months from each of these bureaus. These can be ordered at the same time to do a complete check on a the individual’s credit or can be ordered one at a time to check for potential errors or mistakes. When inquiring about the credit score, the consumer will need their full name, social security number, date of birth, and address. If by chance an error should be found, it needs to be disputed. To dispute a mistake or error, contact the credit bureau that the report was received from. This can be done either with a phone call or online. Provide all information that is listed above, and be sure that the dispute can be justified. Simply calling and saying a that a charge needs to be removed because it is not accurate will not do. Documentation may be needed to support the error that was found, such as account statements. Any dispute that is sent in must be investigated. This should happen within 30 days of contacting the bureau. Fifteen additional days may be needed to look into a dispute. Within 45 days, the credit bureau should notify the consumer with the outcome of the dispute. If the credit bureau is not able to resolve the dispute, ask that a statement of the dispute be placed in the report. As an added step of protection, if the consumer finds an error on one credit report, it is a great idea to get copies of the other two and check for possible errors on them as well. The good thing with credit reports is that often times good information will stay on the report forever and the negative, over time, will fall off the report. Each negative bit on a credit report will stay there for various years. A bankruptcy will stay on a report for 10 years from the date it was filed as long as it is a chapter 7 or 11. Under chapter 13 bankruptcy, it will remain there for 7 years. Paid tax liens and judgments will remain on a report for 7 years, but unpaid liens will remain on the credit report forever, unless paid. Judgments will usually fall off even if they are paid or not paid. Inquiries are on the report for one to two years. Credit reports are what lenders will look at when you ask to borrow money. It is best to keep the report as clean as it can be. One should not want any judgments on the report, and should strive to never miss a payment, as this can lower a score on the report greatly. Being responsible and not applying for too many credit cards at once will help a credit report look better. The better the credit report, the more freedom a consumer will have when it is time to take credit out.